Discover what FISH can do for you. 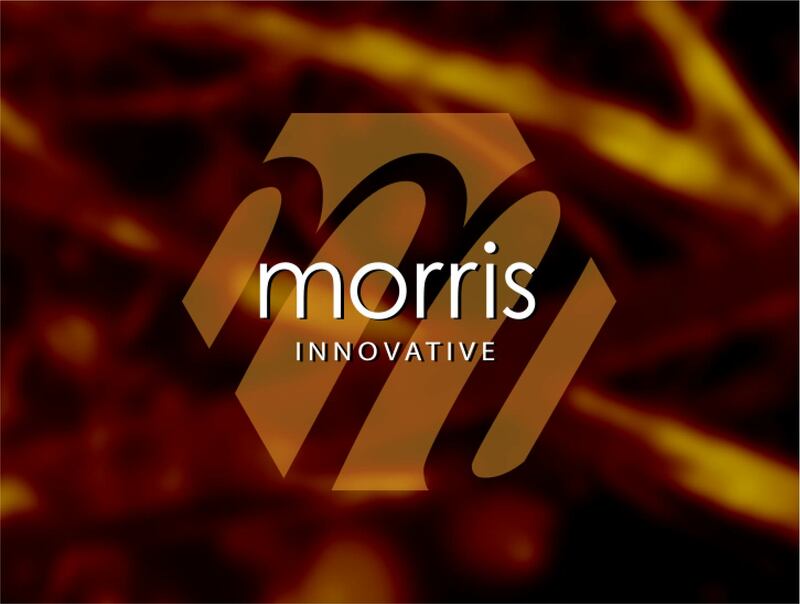 Morris Innovative is a medical device company based in Bloomington, Indiana that is commercializing a patented device for use by interventional cardiologists, radiologists, and vascular surgeons. With over 40,000 deployments, our products provide vascular closure for patients undergoing treatment for cardiovascular and peripheral disease. 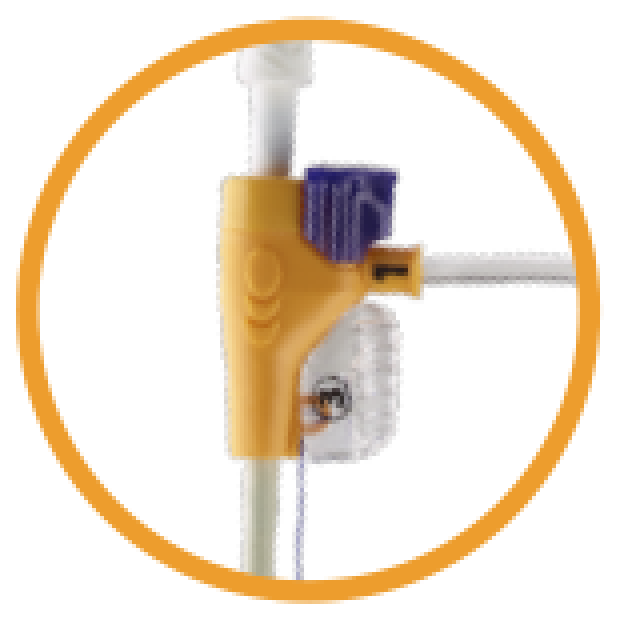 The CombiClose device incorporates an introducer sheath with a pre-mounted biologic material (Small Intestinal Submucosa, “SIS”), which is used to seal the common femoral artery following a catheterization procedure. The product received Premarket Approval (PMA) from the FDA in August 2007 and a subsequent approval in July 2008 due to multiple design enhancements. Mr. Bartosh has spent the past 20+ years in the medical device and technology sectors. He is the founder of several technologies and an early stage investor, director and advisor to multiple medical device and technology companies. His specialty has been in providing capital, establishing strategic manufacturing and distribution relationships, identification of early technology adopters and negotiating licensing agreements and corporate exits. He has successfully commercialized and been involved in selling/exiting various companies and technologies. Mr. Bartosh has also provided consultancy and advisory services to private equity groups involved in evaluating various medical device companies. His focus has been on providing valuation analysis on technology portfolios and structuring both purchase and sale agreements. Mr. Bartosh has extensive international experience including previous ownership and operational interests in business ventures in South Africa, Morocco, Hong Kong, China and Russia. His international relationships include both government and industry leaders in various countries. John is an experienced sales representative with a 20 year history of working in the medical device industry. 10 of those 20 years, John sold and supported vascular closure. He is highly skilled in sales, medical devices and sales training. John enjoys working with Interventional Cardiologists, Vascular Surgeons, Interventional Radiologists and hospitals administrators. John holds a Bachelor of Science Degree from Villanova University. Mike is a seasoned sales representative with 15 years in the medical device industry. He has worked in a clinical capacity, as well as in sales and training on both the local and national level. Mike comes with a strong clinical background, from time spent as a radiology technician in vascular surgery and cath labs. He has been a key player in multiple successful start up and early stage company acquisitions, and most recently worked an early stage endovascular graft company from early stage trial to commercialization to IPO in a very mature and competitive market. Perform Your Procedure and Closure, Over-the-wire, with the Same Naturally Versatile Device. 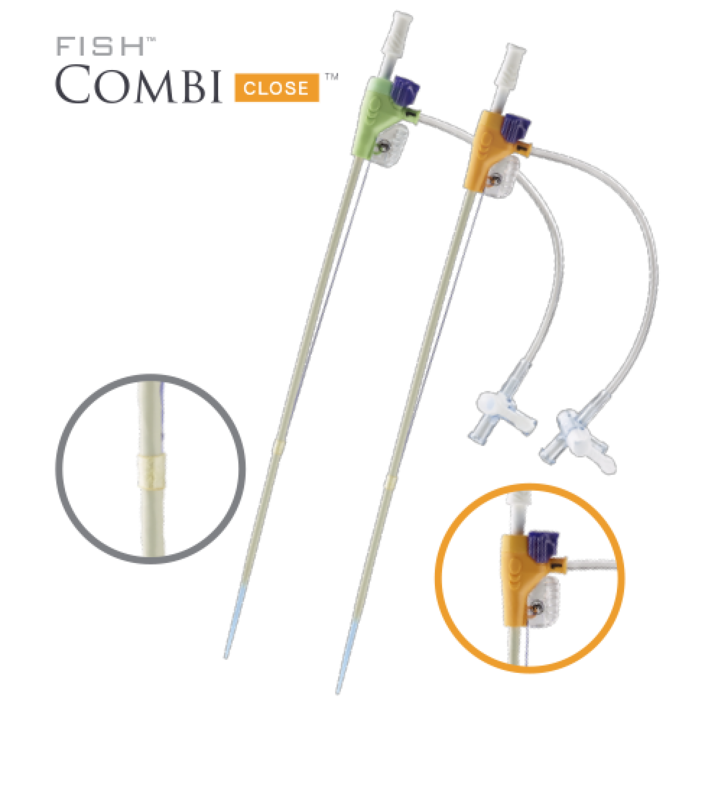 CombiClose™ can be used as a combined introducer sheath and closure device. It also provides patient comfort, ability to close any vessel, and over-the-wire deployment. One FISH™CombiClose™ Sheath w/ Closure Patch, Dilator, Guide Wire, Pre-Dilator and a pair of single-use sterile scissors. FISH™ CombiClose™ devices are individually packaged and sold in boxes of (5) devices. The 6-week post procedure image (A) demonstrates complete healing and no loss future of access at the original puncture site. This healing provides increased patient comfort. The device is capable of closing arteries as small as 3mm. Image (B) depicts an artery that was successfully closed with a FISH™ device. Imagine a vascular closure device that supports tissue repair with a scaffold-like matrix that has an all natural structure and composition. FISH™ is pre-mounted with SIS®, a new biomaterial that does not encapsulate when surgically implanted, but is gradually remodeled, leaving behind organized tissue. It sounds like futuristic technology, but it is available today. Couple the natural strength and diversity of the material with a novel, time-saving application of the vascular closure device and you get a product that not only works functionally but provides additional support and benefits to your patients. SIS® is comprised of many complex growth factors that assist in determining the body’s responses to the trauma of femoral access and closure. 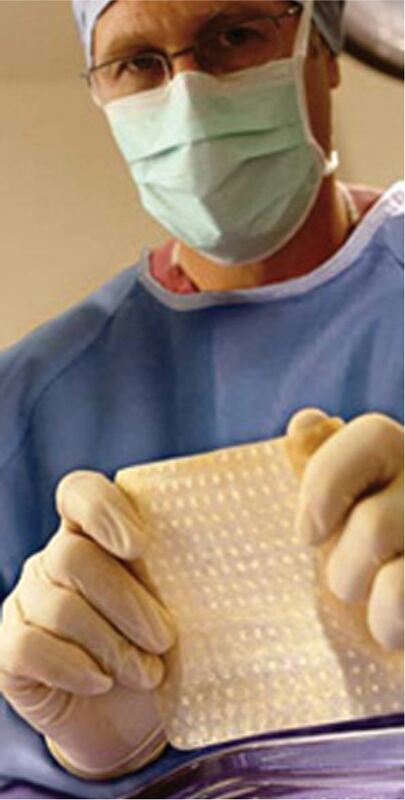 SIS tissue repair products are biologic grafts harvested from porcine small intestinal submucosa (SIS). The submucosa is located between the mucosal and muscular layers of the small intestine. 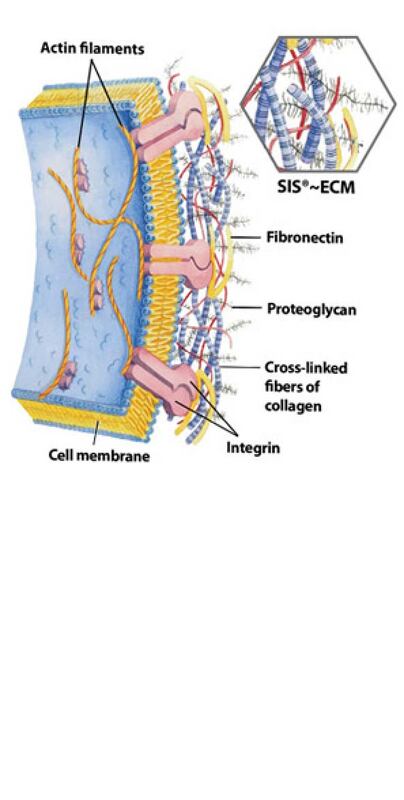 In addition to being a repository for growth factors, the submucosal layer provides strength to the small intestine through a complex organization of collagen that forms a fibrous matrix. SIS products are extracted from the intestine in a manner that removes all cells, but leaves the complex extracellular matrix intact. 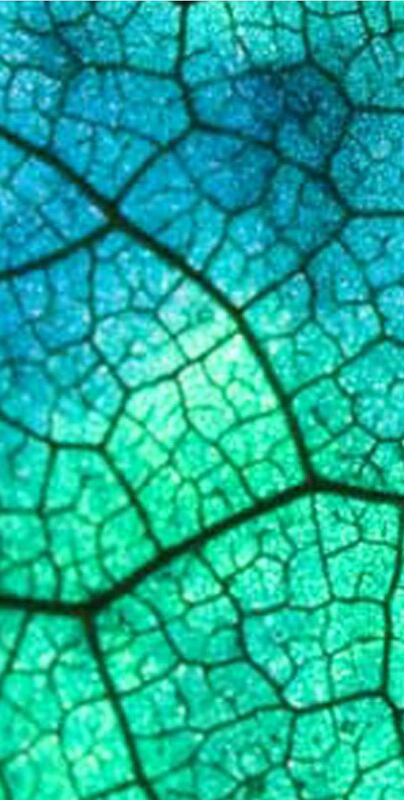 The careful processing leaves the naturally fibrous and porous nature of the matrix available for new cell ingrowth. SIS® and FISH™ provide ingredients found in the body’s natural tissue. 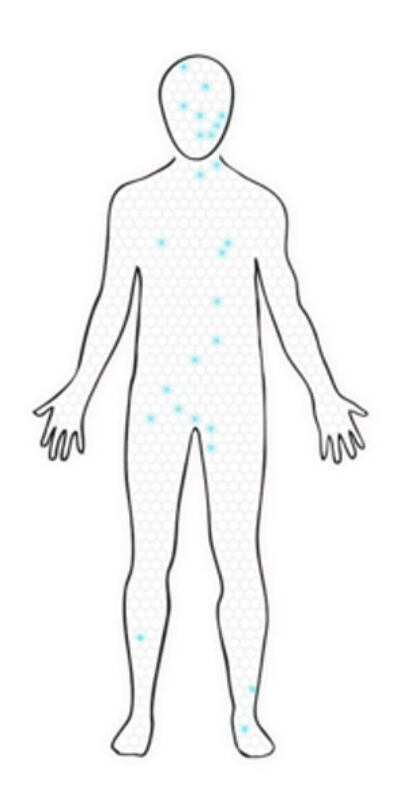 Note the similarities found between human tissue and SIS® below. Provides cell guidance and migration, while providing structure and support to the matrix. Elastin: Contributes to tissue elasticity. Glycosaminoglycans: Heparin Sulfate, Hyaluronic Acid, Chondroitan: Binds growth factors, maintains moisture, decreases inflammation and promotes cell adhesion as well as proliferation. Promotes cell proliferation, migration and attachment. Regulates collagen fibril structure, cell migration, binds growth factors and promotes angiogenisus. SIS® is a naturally occurring form of extracellular matrix or ECM. Bavry A, Raymond R, Bhatt D, Chambers C, DeNardo A, Hermiller J, Myers P, Pitts D, Scott J, Savader S, Steinhubl S. “Efficacy of a Novel Procedure Sheath and Closure Device during Diagnostic Catheterization: The Multicenter Randomized Clinical of the FISH™Device.” Journal of Invasive Cardiology 2008;4. Joyal D, Dieter R. “Vascular Closure Devices: Have We Caught the Right FISH?”Journal of Invasive Cardiology 2008;4. Badylak SF, Freytes DO, Gilbert TW. 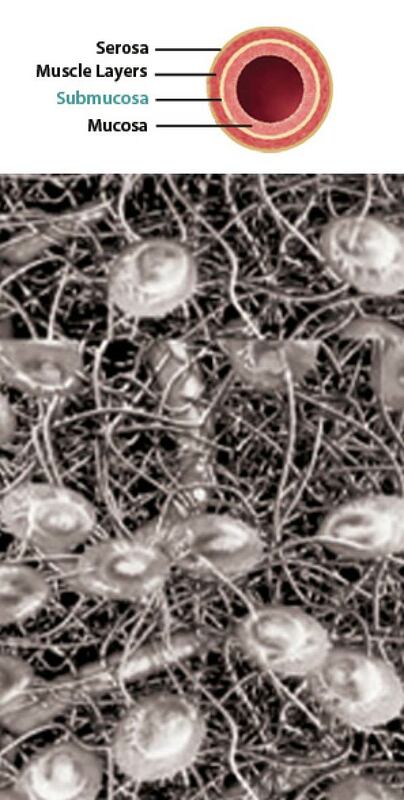 “Extracellular matrix as a biological scaffold material: Structure and function.” Acta Biomaterialia 2009;5:1-13. Hodde J, Hiles M. “Constructive soft tissue remodelling with a biologic extracellular matrix graft: overview and review of the clinical literature.” Acta Chirugica Belgica2007;107:641-647. Reing JE, Zhang L, Myers-Irvin J. “Degradation products of extracellular matrix affect cell migration and proliferation.” Tissue Engineering 2009;15:605-614. Gilbert TW, Freund JM, Badylak SF. “Quantification of DNA in biologic scaffold materials.” Journal of Surgical Research 2009;152:135-139. Morley Safer highlights SIS® technology while he reports on the emerging technology of growing body parts from human cells taken directly from patients, providing new hope for amputees and patients on organ-transplant lists. Dr. Anthony Atala shows Dr. Oz how his team is working to create cells, tissues and organs for patients who may need them. Dr. Atala’s researchers have grown nearly two dozen different types of body parts. To schedule an introduction to the FISH™ Device, or receive additional information, please use the form below or contact Morris Innovative via telephone, fax or e-mail.